On Monday, Poland refused to take part in a Visegrad Group (V4) summit in Jerusalem following "racist" remarks expressed by Israeli Prime Minister Benjamin Netanyahu. Czech Prime Minister Andrej Babis said that a Visegrad Group (V4) summit would not take place in Israel amid reports claiming that there would be a bilateral meeting instead. The summit might be rescheduled for the second half of 2019, the Polish official added. The Israeli side, in turn, stated that it would host bilateral talks with Czech, Slovak and Hungarian leaders this week, explaining that there would be "no full V4 meeting," according to a spokesman for Israel's Foreign Ministry. This comes after earlier in the day Polish authorities have decided not to send a delegation to attend a summit in Jerusalem after "racist" comments voiced by Israeli Prime Minister Benjamin Netanyahu. The Israeli PM earlier accused Poland of attempting to "whitewash the history with regard to the Holocaust". On Sunday, Polish Prime Minister Mateusz Morawiecki cancelled his visit to Jerusalem to attend a Visegrad Group (V4) meeting. 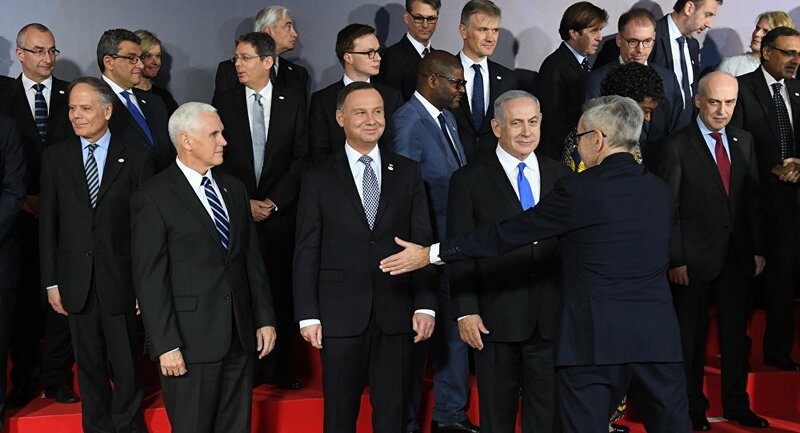 On the same day, Israeli Prime Minister Benjamin Netanyahu said speaking on the sidelines of the Middle East conference in Warsaw that "Poles cooperated with the Nazis," however, The Jerusalem Post indirectly quoted him, writing "Polish nation", causing backlash. The prime minister responded to the incident saying that he was misquoted and the publication later made a correction. At present, it is legally prohibited in Poland to in any way accuse the state of the genocide of Jews that took place across Europe by the Nazis during World War II. A controversial law was passed last year, dubbed the Holocaust Bill, which was extremely unpopular in Israel because it was felt that Poland was trying to suppress discussions about the killing of Jews by Poles during the Nazi occupation of the country.